Do you have a loved one who lights up when they hear music? Are you looking for something that will increase their quality of life and help them learn, grow and express themselves? 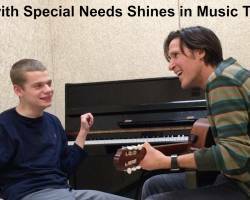 My name is Ryan Judd and I help improve the lives and abilities of individuals with special needs by creating a musical, fun and motivating atmosphere for them to thrive in. I have a master's degree in psychology and music therapy from one of the top contemplative education schools in the country. 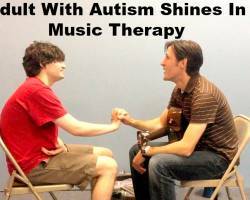 I am a board certified music therapist and have been specializing in helping people with special needs for more than 16 years. The results I've achieved from integrating music and therapy are powerful and my work has even been featured on ABC World News Tonight and other national news outlets. My mission is to elevate individuals with special needs to new heights developmentally, emotionally and expressively. My passion extends beyond the face-to-face work that I do and I have created a product line of DVDs, CDs and video courses to help those in the special needs community. Visit my Store Page for more information. I also compose and produce instrumental guitar music for well-being. Many people find this music to be perfect for meditation, relaxation, sleep, yoga and massage. My unique background as a music therapist and an accomplished fingerstyle guitarist has given me the tools to help people through the power of music. You can visit my artist site at www.RyanJuddMusic.com and listen to me on Spotify, iTunes, Amazon, Pandora or GooglePlay. To get this free video series, please subscribe to my free newsletter by clicking here. Everything you need to bond with your child through music, bring the whole family together and help your child learn and develop in a fun, motivating and creative way. 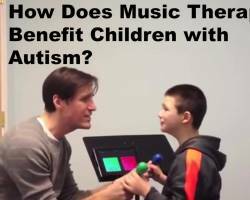 Free videos on how you can easily use music to help children with special needs learn grow and thrive!